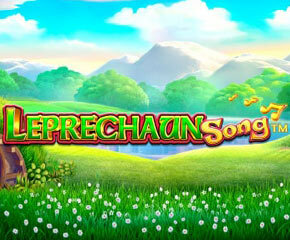 Pragmatic Play presents to you Leprechaun Song slot available to play at Monster Casino. This slot is based on the Irish culture and comes with 5 reels and 20 paylines. Expect to find cartoon-like graphics with the game set in an open terrain with green fields and a rainbow arching across the sky in the sunny background. The slot can be played from all devices for as low as 20p per spin. Leprechaun Song comes with a number of symbols including green hats, pipes and pints of stouts. The leprechaun is the most lucrative symbol here. 3, 4 or 5 of his symbols will award you 2.5, 10 or 20 times your bet. Then there is the rainbow which acts as the game’s wild and it can be more rewarding than the leprechaun. This is because you could get 5, 20 or 40 times your bet on a single payline. Further, the wild can replace other game symbols apart from the scatter. Free Spins: Pick from the mushrooms to get free spins + multipliers until you come across ‘Collect’. You’ll also receive an additional wild. Coin Collector: This feature will get you a 2x multiplier. For every 5 coins collected, you will receive 5 more spins and a 1x multiplier. Giant Symbols: This feature gets you 3 free spins thanks to the 3*3 symbols on the reels. If you land a scatter symbol on reel 1 and 3 in the main game, the reels could get a nudge and another scatter could appear to activate this feature. Raining Wilds: Get extra wilds included on the reels during a spin. Pick A Fiddle: Select 1 of the 5 fiddles to get a cash prize. Giant Symbol: A massive 3*3 symbol will come into view on the reels. 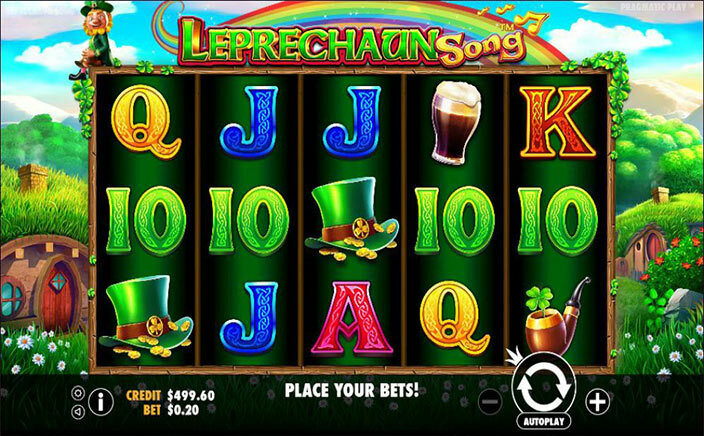 The soundtrack and the graphics in Leprechaun Song slot tell of an old slot. However, once you dive into the game, you’ll notice a wide range of action-packed features. This medium variance slot could be old in looks, but you can expect decent payouts.